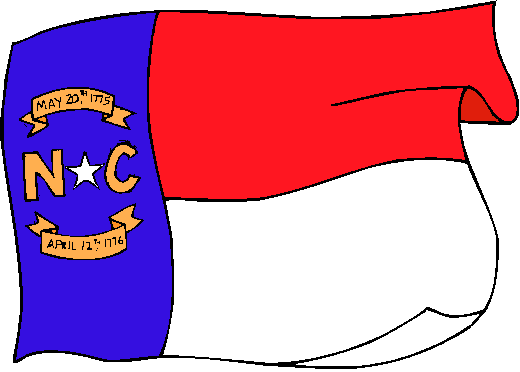 The flag of North Carolina, adopted in 1885, consists of two parts: the union (on the left), and the fly (on the right). The union contains a white star, surrounded by the letters "N" and "C" in gilt lettering, above and below which are gilt scrolls with black lettering bearing the dates of "May 20th, 1775" and "April 12th, 1776" (the dates correspond to dates of various North Carolina declarations during the American Revolution). The fly on the right consists of red and white stripes, whose horizontal length is the same as the height of the union.